The weather is changing, and the autumn is in full force. Embrace the colder temperatures and join the autumn prize burst promotion at LeoVegas. A total of £200,000 in cash prizes will be handed out during the coming five weeks! When LeoVegas hosts a new giveaway, they do it big - and this time, you can get your hands on one of two weekly prizes of £20,000 in cash. The autumn prize burst promotion just started, and it will be running for five full weeks until the 21st of October. Every week brings a new raffle, and a total of £200,000 will be handed out before the promotion is over! LeoVegas has created a game selection called autumn prize games in the casino lobby, and your goal is to play the slots that are included in it to collect as many prize draw tickets as possible. In the list you will find nine great slots including Starburst, BerryBurst MAX, Bonanza and Book of Dead, so there are plenty of hits to choose from. Simply wager through £50 across any of the games in the selection to get a raffle ticket, and you can earn up to 40 tickets every day. A new raffle takes place every Monday, and there are prizes worth fighting for in the pot. Two lucky winners will each get their hands on a cash prize worth £20,000, meaning that £40,000 is up for grabs in every raffle. Play some of your favourite slots, get your name in the raffle, and you could suddenly become one of the lucky winners! You can see all the eligible games and the full details on the promo page at LeoVegas. We’re not done yet, as LeoVegas is giving out no deposit bonus spins to all of their players during the promotion. Simply log in to your account every Sunday to find 7 shiny bonus spins waiting on a new game. You will get spins on games such as Starburst and Book of Dead, and the full schedule is available on the promotion page. Just log in and play! The bonus spins have a wagering requirement of x40. 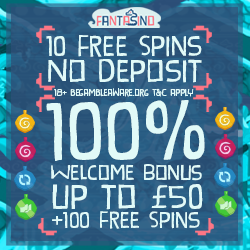 And last but not least, from every Monday till Thursday you will get two no deposit spins on a selected slot. The player who gets the biggest coin win using their spins will bag an sweet cash prize of £500. Cash raffles and no deposit bonus spins, the autumn kicks off with a bang at LeoVegas. Click the link to learn more.